Every once in a while a guy comes along (usually on social media) to claim how having a baby can’t be that painful, and tries to (wrongly) compare it to something like getting kicked in the ol’ ball and … well … other ball. The comparisons are (rightly) shot down as ridiculous. Enter Penn Holderness, father of a popular YouTube channel following his family’s life. 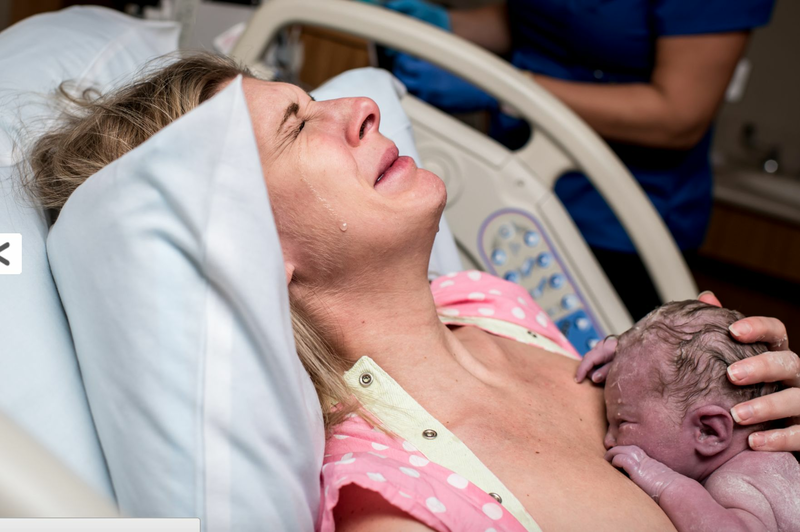 He wanted to see just how painful giving birth could be. In the video below, this thoughtful husband experiences labor pain for the first time. In the video, Holderness says he wants to do something special for his wife. As a husband, he was there during the birth of their children, but he knew there was really no way to understand the pain she endured to bring them into the world. Or was there? With the help of some electrodes and a doctor – who is smiling way too much for what he’s doing – Holderness got pretty darn close to experiencing the pain of childbirth. For the most part, Penn took it like a champ. His wife, whose grin confirmed that she had to be the mastermind behind this idea, showered her husband with the annoying platitudes and pointers that mothers get during labor in an attempt to show Holderness why mothers can get so angry with their partners during childbirth. It didn’t take long for her happiness to turn into genuine guilt, though. As such, Holderness’s wife got to experience what it’s like to be a helpless husband who wants to help but can’t. By the end of the experience, the happy couple had a sweet moment of mutual understanding and a deepened love and respect for each other. Because the easiest way to put the spark back into your relationship is with electrodes to the abdomen. The YouTube community widely considered Holderness an incredibly sweet husband, and wives, girlfriends, and moms from all over joked that they want to buy the device for their significant others. Watch the hilarious video as this husband experiences labor pain for the first and (probably) only time. Well, hilarious for the women, anyway; cringe-inducing for us guys. I think I’ll just stick to flowers for my gifts. Be sure to SHARE this great video with your friends on Facebook! This Baby Can’t Contain Her Laughter at Her Clumsy Dad — Can You?